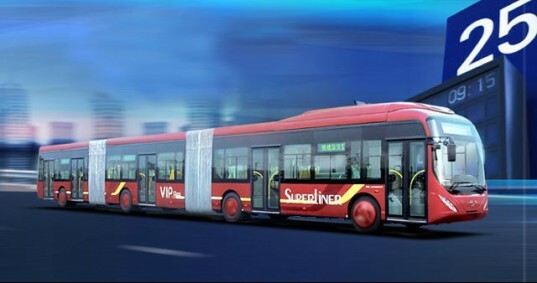 Youngman JNP6250G is 25 meters long, 5 doors, 50 seats and can reach speeds of 82 miles per hour. The bus is equipped with a special area for wheelchairs and can turn as easily as a conventional bus due to the two skin areas that come supplied. The tank shall have a maximum capacity of 300 liters and equipped with MAN Diesel and gearbox VOITH. The Youngman JNP6250G has not one – but two – accordion ribbed joint sections, giving the megabus flexibility and the ability to bend around corners. Thanks to the ribbed sections, the bus can turn at the same radius as a regular city bus. 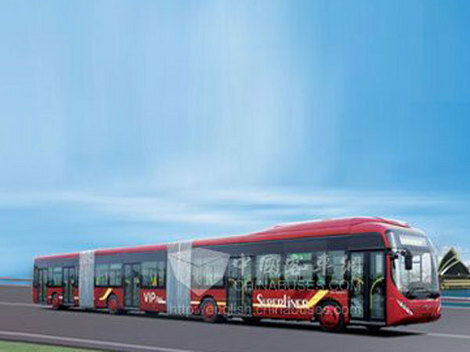 The sprawling bus is 82 feet long, and its top speed is only around 50 mph. While other methods of green transportation are faster, the megabus hardly crawls down the highway. Inside, the megabus is much more comfortable and also more wheelchair friendly. The aisles are widened for navigability, and a pavement level step makes wheelchair boarding much easier and faster. 40 regular seats line the bus, and five doors make it easy to enter and exit the vehicle. 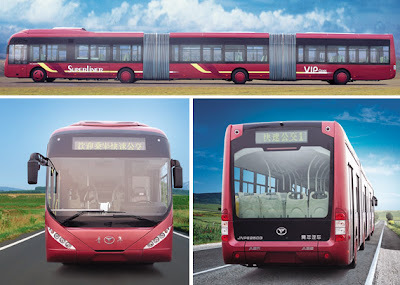 The new bus is designed to meet the demands of the heavily populated country that has places to go. The BRT will even have its own lane in local highways, creating another incentive to use public transportation rather than waiting in traffic in your own car. The Youngman JNP6250G is a great public transportation solution that has been geared up to meet the world’s ever-growing population.